Sometimes one needs to edit a system configuration file on Mac OS X. 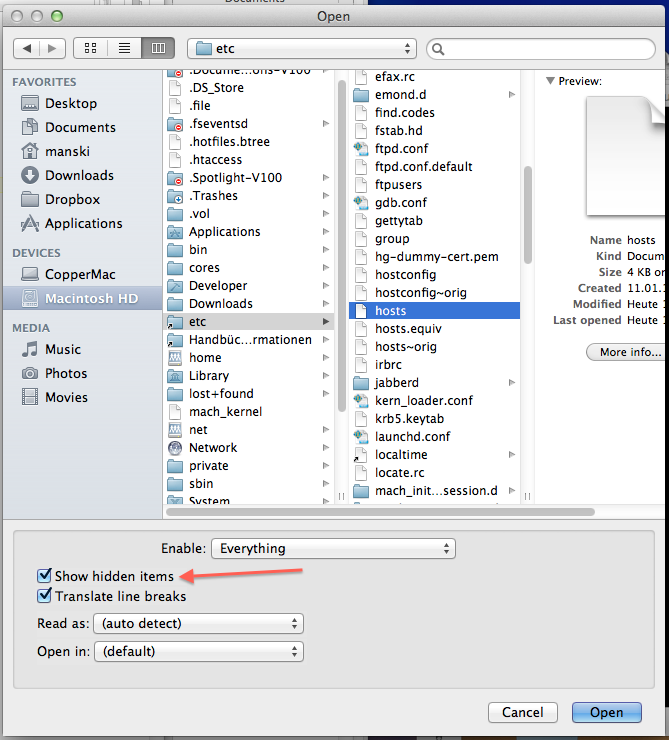 While these files are usually text files, you can’t used Mac OS’ “TextEdit” tool to do this. 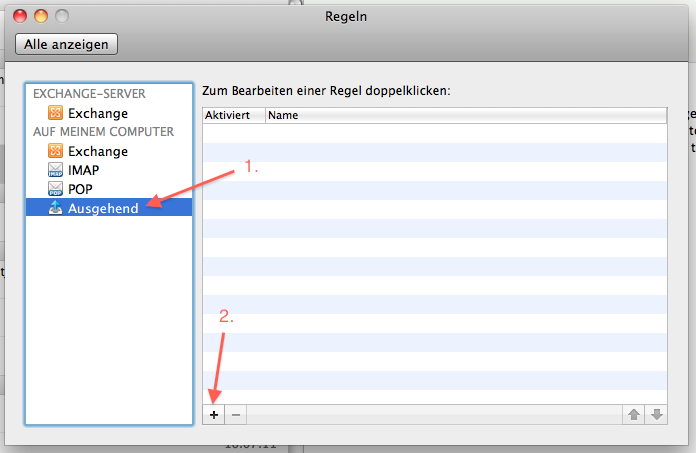 Fortunately, there is a free alternative to “TextEdit” called TextWrangler. First, select File –> Open... from the menu. Then, since system configuration files are often hidden or in hidden folders, select Show hidden items at the bottom of the “Open” dialog. Then open the file you want to edit. You may notice that the file is in read-only mode (represented by the icon in the upper left corner). To switch to write mode, either click this icon or start editing the file’s content. In both cases you’ll be asked to unlock the file. After that, you can edit the file. When you’re done, simply save the file. You’ll be asked for your password since you’re editing a system file (that doesn’t belong to you). And that’s it. Note: The AppStore version doesn’t ask you for your password but instead asks you to save the file under a different name.